Alexandra Grant is a Los Angeles-based artist who uses language, literature and exchanges with writers as the basis for her work in painting, drawing and sculpture. Grant is known for her collaborations that give shape to what she does outside of the studio as much as within it. Grant has worked with writers as diverse as hypertext pioneer Michael Joyce, actor Keanu Reeves, and philosopher Hélène Cixous. Grant’s first solo exhibition at a museum was in 2007, organized by curator Alma Ruiz, at the Museum of Contemporary Art, Los Angeles (MOCA). Numerous other shows at museums and galleries include the 2010 California Biennial of Art at the Orange County Museum of Art (OCMA), the Artists’ Museum at MOCA in 2010-1, Human Nature: Contemporary Art from the Collection at LACMA in 2011, Drawing Surrealism, also at LACMA in 2012, and The Avant-Garde Collection at OCMA in 2014. In 2013, Grant completed a two-city exhibition with Hélène Cixous called Forêt Intérieure/Interior Forest, which was inspired by Cixous’s book Philippines. This multi-dimensional project, which included a residency component, contributions by both Los Angeles-based and Paris-based artists, and public participation. 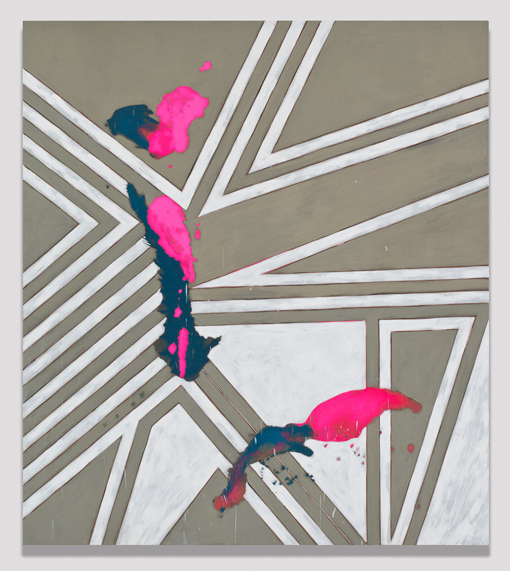 Grant’s body of work in painting and sculpture Century of the Self was the focus of her exhibitions in 2013 at USC’s Fisher Museum and in 2014 at Laura Reynolds Gallery in Austin, Texas. Grant’s newest body of work, Antigone 3000, will be included in the COLA award exhibition at Barnsdall Art Park in May, 2015, as well as in a two-person show with Steve Roden at the Pasadena Museum of California Art in June, 2015. Grant is also recognized for her philanthropic grantLOVE project, where she has raised money for arts’ non-profit through sales of her LOVE symbol works.